How to get the best vacuum cleaner for your needs. The vacuum cleaner industry is huge. 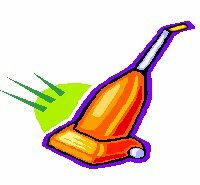 In 2008 a staggering 2.5+ billion dollars was spent on vacuum cleaners in the USA alone. And that figure continues to grow. Almost every household has a vacuum cleaner - some have several - but with over 400 vacuum cleaner models available in the United States right how do you know what to buy? This requires knowledge of the types of machines available and a few of the pitfalls to watch out for. In making the best vacuum cleaner purchase it is key to first understand what kind of cleaning you intend to do. Small, quick cleanups or house-wide cleaning? Mostly carpet or bare floors? Do you intend to clean up a lot of pet hair? etc. Upright Vacuums - Upright vacuums usually have larger vacuum cleaner bags/containers than canister vacuums so changing/emptying these is less frequent. With an upright you are also not lugging the vacuum behind you and they do tend to be better/easier when vacuuming large carpeted areas and hallways. They also usually have a wider cleaning path than a canister. However you do have to move the entire machine back and forth when vacuuming so weight can be an issue. They also prove difficult when vacuuming stairs and with their upright profile it can be difficult getting under furniture. Canister Vacuums - Many manufacturers make both upright and canister models (not to mention a host of other specialized vacuums). Historically canister vacuums have been better than uprights on hard floor surfaces and less effective on carpet. They also tend to be quieter and their low profile makes cleaning stairs and getting under furniture easy. 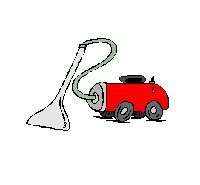 Steam/Carpet Cleaners - These look like an upright and use steam and detergent to clean carpets. They also have water tanks to hold the clean water and dirty water. These use rotating heads that “massage” the carpet and then use suction to lift out the dirty solution. There are also hard surface steam cleaners - these do not use detergent but rather sanitize and clean the hard surface with 220 degrees F steam. Some steam cleaners work both on hard floors and carpets. Stick/Broom Vacuums - These are essentially very thin and light upright vacuums and they do not have rollers or beater bars. They are often cordless and bagless (but not always). They are good for quick pickups and the design is such that you do not have to bend over (as with a handheld). However they are typically not great on carpet and unlike larger uprights they are not as powerful and the dirt cup is smaller. 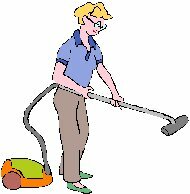 Handheld Vacuums - These are usually for small cleanup jobs and are small, handheld, light and mainly cordless. Almost all of these are bagless and use a dirt cup. However handhelds are often not very powerful (compared to the larger vacuums) and the dirt container is small. They are not meant as a replacement for a full size vacuum cleaner. It is helpful to understand a few common features that are frequently used to “define” a vacuum cleaner today. The two most common are whether the vacuum is bagged or bagless and whether it provides HEPA filtration. Canisters/uprights/stick vacuums are either bagged or bagless – there are advantages and disadvantages to each approach, but in general bagless machines do not require one to purchase bags but it can be a messy affair to remove, empty and re-attach the dirt canister. The opposite is typically true with bagged vacuums. Consumers tend to like one or the other – some swear by bagged while other feel bagless is the way to go. If one has asthma or allergies getting a quality vacuum with HEPA filtration may be a good idea. This level of filtration is often available with an upright or canister vacuum and sometimes with a stick vacuum. HEPA filtration removes 99.97% of all airborne particulates of 0.3 microns or larger that pass through it. The key here is that the filters are only able to filter the air that passes through them and many vacuums leak air but still tout the value of their HEPA filtration. HEPA filters work most effectively within a sealed system (which some vacuums have, and others do not). Now that you know some of the common types of machines, what else should you consider before you make a purchase? One thing to keep in mind is that many manufacturers today develop appliances to actually fail over a calculated time period (this is called planned obsolescence). This is a money-making proposition for the manufacturer as consumers are forced to purchase more often – they may feel they are getting a lower price up-front but they are actually paying over and over again as the products need to be replaced frequently. In the market this can be seen by the large number of vacuum cleaner consumers complaining about shoddy workmanship and the very high failure rates of vacuums after only short periods of use. How can you minimize your risk? Avoid short warranties - One danger sign of possible planned obsolescence is a very short warranty period. Many vacuum cleaners come with a one-year standard warranty while others (typically more expensive and higher quality) have up to 6 or 7-year warranties. But be sure to check on the warranties for motor, parts, and labor – these are sometimes different periods for a single machine. The longer the warranty, the better the return on your initial investment. Read consumer reviews carefully - It is very important to read consumer reviews before making a purchase. After analyzing thousands of consumer comments from all corners of the web, Vacuum Cleaner Advisor has found that some reviews are much more helpful than others. Many a consumer touts the brilliance of their new machine shortly after their purchase. Guess what? Most machines are not “planned” to fail immediately. One must consider how long the reviewer has had the machine and also pay close attention to reviews that are updated over time. (They do exist – a good place for these is Amazon or Walmart). Don’t fall for the marketing hype - Do not rely on the manufacturers marketing hype regarding the vacuum. Most of us know this but still rely heavily on the product information given to us by the salesman, in the brochure, or on the website store. Don’t buy cheap – An adage that is often true “You can’t afford to buy cheap”. The cheap machines will typically fail quicker and thus need to be replaced more often. This is a general observation but one that should be considered. Try before you buy - If you are buying online you may not have this option but it you are buying in a store you should ask the salesperson to allow you to try the vacuum. Most respectable stores will allow this and it can give you a fairly good idea if the vacuum “feels right” and performs up to your expectations. This will not provide you with much of an indication of the longevity of the machine however. Maintenance - Ensure that your machine has readily available bags, belts, filters and other parts. Also consider the pricing of the parts – especially bags and filters that may need to be replaced frequently. Also, if possible, find a machine in which you can do some of the service work yourself (like changing the belt), as opposed to being at the mercy of an expensive technician. With the hundreds of vacuum cleaner models available on the market today, getting the right one for your home or office requires research. Most consumers don’t have the time to sift though the mass of critical information that’s out there. Vacuum Cleaner Advisor searches the Internet to provide reliable, in-depth vacuum cleaner reviews and ratings, all in one place. You may also want to check out some of the best-rated vacuums (rated by multiple consumer review sources) in the vacuum cleaner ratings table.